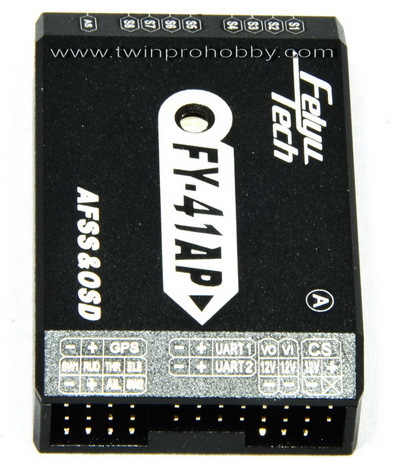 FY-41AP is an inertial attitude measurement instrument used for FPV flight on fixed-wing aircrafts and multi-rotors aircrafts. It has an integrated OSD video overlay system that presents critical flight information such as power management, airspeed, altitude, and flight direction via its electronic compass, allowing for a clear visual flight while ensuring key information is within sight. 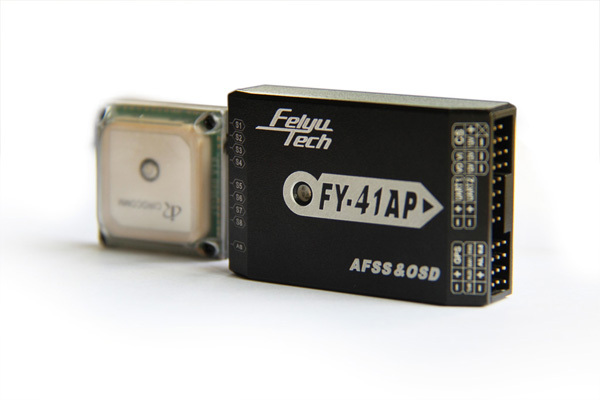 The new FY-41AP with its enhanced Altitude Control and GPS module, can now realize improved pinpoint inertial navigation and automatic piloting. 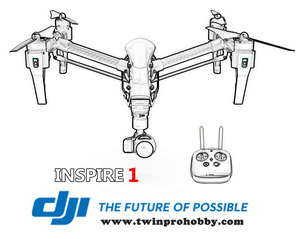 FY-41AP can connect the air speed sensor which automatically controls throttle and can make the aircraft more stable. 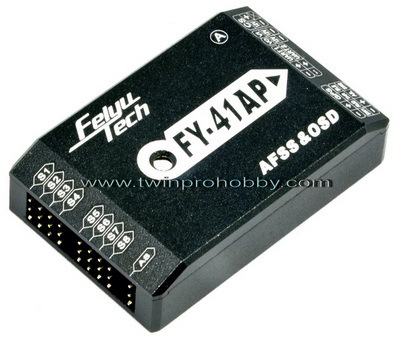 FY-41AP comes with a power management module with an integrated current sensor. You can power both your FY-41AP and your servos at once, or utilize the power management module to charge them separately. You can set up parameters using your remote control or your computer. 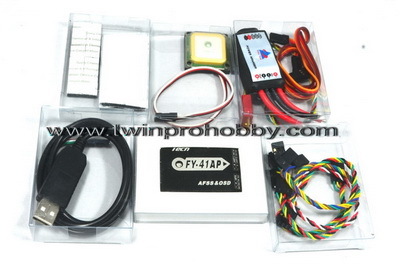 OSD is an essential part for FPV. 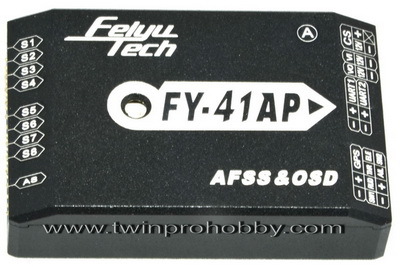 The FY-41AP can adapt both PAL and NTSC video signals. The entire adaptive process is completed approximately within 1 second. Integrated OSD Video Overlay System, FY-41AP overlays flight telemetry information onto video image. Information displayed includes: Altitude, Speed, Direction, Home Direction and many more. 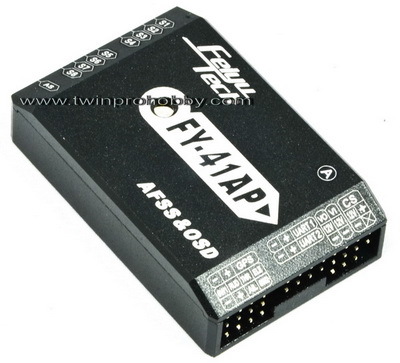 Warm prompt: You should to do the firmware upgrade separately for FY-41AP-OSD control module and OSD module. � Real time monitoring � It can monitor flight attitude. And via the GCS software you can change the flight altitude in real time and realize the mouse click flight. � Record and monitoring flight �You can monitor and download flight path via the GCS software in your computer.